Peter Quinlan received a Bachelor’s degree in Oriental Studies (Arabic) in 1975 and a Master’s of Science degree in Hydrology from the University of Arizona in 1982. He was a fellow at the American University in Cairo between 1975 and 1977. He worked for the Public Authority for Water Resources of the Sultanate of Oman in groundwater exploration and water resource assessment. As an acting District Chief of the southern province of Dhofar he was responsible for developing a network of wells to monitor seawater intrusion along the Salalah Plain and for monitoring spring and surface flows at the base of the Jabal Qara Escarpment. He also oversaw exploration of groundwater resources in the Najd up to the edge of the Empty Quarter. He drilled an exploration well through the Queen of Sheba’s Lost City of Ubar prior to its being found by archeologists. Returning to the United States in 1985, he worked in the area of contaminant hydrogeology conducting investigations, numerical modeling of transport and vapor migration, designing remedies, and providing expert testimony. 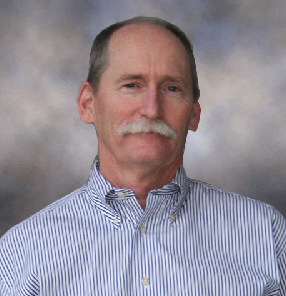 He founded the hydrogeology practice at Dudek, Inc. in 1992 and is currently a vice president and director of Dudek. In recent years his work has again turned to water resource evaluation focusing particularly on quantifying recharge and ecohydrology. This has involved saturated and unsaturated subsurface flow modeling, as well as watershed modeling, and studies of transpiration from native plants using sap flow sensors.